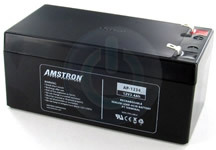 UPS batteries from Empire Scientific & Amstron, the leading manufacturer of UPS batteries and the largest inventory. All batteries are built with the highest quality cells and meet or e x ceed the original manufacturer's specifications. That's why each battery comes with a 1 year warranty, your guarantee of quality. 5mm faston terminal 6V/2.0Ah 1.69 x 1.46 x 2.99"
This battery is used in many security alarm systems. battery is totally sealed and comes with acid bottle as it is shipped dry. 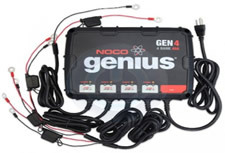 105 CCA 6 x 3.44 x 3.75"
Maintenance-Free Motorcycle & Generator Battery Sealed AGM. 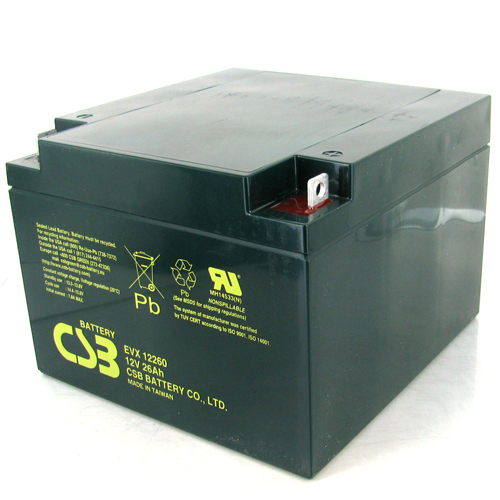 12V/11.2Ah 6.0 x 3.43 x 4.38"
Maintenance-Free PowerSports Battery Sealed, Dry Charge AGM. Supplied with acid bottle. 12V/12Ah 6 x 3.44 x 5.75"
6.92 x 6.56 x 4.96"
6.60 x 6.90 x 4.90"
12V/75Ah 6.61 x 10.2 x 8.19"
Comes with clip leads & ring terminals 12v - 4 Bay 40amp Charger. Rebuild using 4 AP-670F1 batteries and the original wiring harness & fuse. Rebuild using 8 AP1250F2 batteries and the original wiring harness & fuse. Rebuild using 16 AP-1250F2 batteries and the original wiring harness & fuse. Rebuild using 2 AP1290F2 batteries and the original wiring harness.